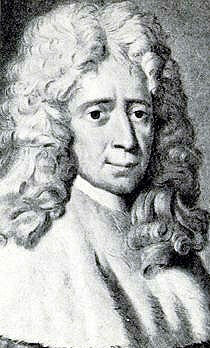 Charles de Secondat, Baron de Montesquieu (18 January 1689 – 10 February 1755), also known as Charles de Montesquieu, was a French political thinker who lived during the Enlightenment and is famous for his articulation of the theory of separation of powers. If one only wished to be happy, this could be horrible for the rest of civilisation; but we wish to be happier than other people, and this is always difficult, for we believe others to be happier than they are. As quoted in A Dictionary of Thoughts : Being a Cyclopedia of Laconic Quotations from the Best Authors, Both Ancient and Modern (1891) edited by Tryon Edwards. In a free nation, it matters not whether individuals reason well or ill; it is sufficient that they do reason. Truth arises from the collision and from hence springs liberty, which is a security from the effects of reasoning. The laws of Rome had wisely divided public power among a large number of magistracies, which supported, checked and tempered each other. Since they all had only limited power, every citizen was qualified for them, and the people — seeing many persons pass before them one after the other — did not grow accustomed to any in particular. But in these times the system of the republic changed. Through the people the most powerful men gave themselves extraordinary commissions — which destroyed the authority of the people and magistrates, and placed all great matters in the hands of one man, or a few. Zeal for the advancement of religion is different from a due attachment to it; and that in order to love it and fulfil its behests, it is not necessary to hate and persecute those who are opposed to it. [The Ottoman Empire] whose sick body was not supported by a mild and regular diet, but by a powerful treatment, which continually exhausted it. [The Pope] will make the king believe that three are only one, that the bread he eats is not bread...and a thousand other things of the same kind. I can assure you that no kingdom has ever had as many civil wars as the kingdom of Christ. Do you think that God will punish them for not practicing a religion which he did not reveal to them? A man should be mourned at his birth, not at his death. In France there are three kinds of professions: the church, the sword, and the long robe. Each hath a sovereign contempt for the other two. For example, a man who ought to be despised only for being a fool is often so because he is a lawyer. People here argue about religion interminably, but it appears that they are competing at the same time to see who can be the least devout. Oh, how empty is praise when it reflects back to its origin! Christians are beginning to lose the spirit of intolerance which animated them: experience has shown the error of the expulsion of the Jews from Spain, and of the persecution of those Christians in France whose belief differed a little from that of the king. They have realized that zeal for the advancement of religion is different from a due attachment to it; and that in order to love it and fulfill its behests, it is not necessary to hate and persecute those who are opposed to it. History is full of religious wars; but, we must take care to observe, it was not the multiplicity of religions that produced these wars, it was the intolerating spirit which animated that one which thought she had the power of governing. And yet there is nothing so badly imagined: nature seems to have provided, that the follies of men should be transient, but they by writing books render them permanent. A fool ought to content himself with having wearied those who lived with him: but he is for tormenting future generations; he is desirous that his folly should triumph over oblivion, which he ought to have enjoyed as well as his grave; he is desirous that posterity should be informed that he lived, and that it should be known for ever that he was a fool. Commonly paraphrased as "An author is a fool who, not content with having bored those who have lived with him, insists on boring future generations". "Of all kind of authors there are none I despise more than compilers, who search every where for shreds of other men's works, which they join to their own, like so many pieces of green turf in a garden: they are not at all superior to compositors in a printing house, who range the types, which, collected together, make a book, towards which they contribute nothing but the labours of the hand. I would have original writers respected, and it seems to me a kind of profanation to take those pieces from the sanctuary in which they reside, and to expose them to a contempt they do not deserve. When a man hath nothing new to say, why does not he hold his tongue? What business have we with this double employment?" I write to thee on this subject, [friend], because I am angry at a book which I have just left, which is so large, that it seems to contain universal science, but it hath almost split my head, without teaching me anything. Life was given to me as a favor, so I may abandon it when it is one no longer. I acknowledge that history is full of religious wars: but we must distinguish; it is not the multiplicity of religions which has produced wars; it is the intolerant spirit animating that which believed itself in the ascendant. There is only one thing that can form a bond between men, and that is gratitude...we cannot give someone else greater power over us than we have ourselves. I have read descriptions of Paradise that would make any sensible person stop wanting to go there. La raillerie est un discours en faveur de son esprit contre son bon naturel. Translation: Raillery is a mode of speaking in favor of one's wit at the expense of one's better nature. Le succès de la plupart des choses dépend de savoir combien il faut de temps pour réussir. Translation: The success of most things depends upon knowing how long it will take to succeed. J'ai toujours vu que, pour réussir dans le monde, il fallait avoir l'air fou et être sage. Translation: I have always observed that to succeed in the world one should appear like a fool but be wise. Horace et Aristote nous ont déjà parlé des vertus de leurs pères, et des vices de leur temps, et les auteurs de siècle en siècle nous en ont parlé de même. S'ils avaient dit vrai, les hommes seraient à présent des ours. Translation: Horace and Aristotle told us of the virtues of their fathers, and the vices of their own time, and authors down through the centuries have told us the same. If they were right, men would now be bears. Translation: If I knew of something that could serve my nation but would ruin another, I would not propose it to my prince, for I am first a man and only then a Frenchman, because I am necessarily a man, and only accidentally am I French. You have to study a great deal to know a little. One must give one power a ballast, so to speak, to put it in a position to resist another. Democratic and aristocratic states are not in their own nature free. Political liberty is to be found only in moderate governments; and even in these it is not always found. It is there only when there is no abuse of power. But constant experience shows us that every man who has power is inclined to abuse it; he goes until he finds limits. Is it not strange, though true, to say that virtue itself has need of limits?. To prevent this abuse, it is necessary that, by the arrangement of things, power shall stop power. A government may be so constituted, as no man shall be compelled to do things to which the law does not oblige him, nor forced to abstain from things which the law permits. In every government there are three sorts of power: the legislative; the executive in respect to things dependent on the law of nations; and the executive in regard to matters that depend on the civil law. By virtue of the first, the prince or magistrate enacts temporary or perpetual laws, and amends or abrogates those that have been already enacted. By the second, he makes peace or war, sends or receives embassies, establishes the public security, and provides against invasions. By the third, he punishes criminals, or determines the disputes that arise between individuals. The latter we shall call the judiciary power, and the other, simply, the executive power of the state. The executive power ought to be in the hands of a monarch, because this branch of government, having need of dispatch, is better administered by one than by many: on the other hand, whatever depends on the legislative power, is oftentimes better regulated by many than by a single person. But, if there were no monarch, and the executive power should be committed to a certain number of persons, selected from the legislative body, there would be an end of liberty, by reason the two powers would be united; as the same persons would sometimes possess, and would be always able to possess, a share in both. There is no greater tyranny than that which is perpetrated under the shield of the law. As quoted in With Prejudice : The Perspective of an Acquitted Defendent (2010) by Vicky Gallas; no earlier occurence of this phrasing has been located (Relevant quote: "Il n’y a point de plus cruelle tyrannie que celle que l’on exerce à l’ombre des lois et avec les couleurs de la justice" i.e. "There is no tyranny more cruel than that which is exercised within the shade of the law and with the colours of justice." See Chap. XIV of Considérations sur les causes de la grandeur des Romains et de leur décadence). In recent times it has been held by many economists that the rate of current saving determined the supply of free capital, that the rate of current investment governed the demand for it, and that the rate of interest was, so to speak, the equilibrating price-factor determined by the point of intersection of the supply curve of savings and the demand curve of investment. But if aggregate saving is necessarily and in all circumstances exactly equal to aggregate investment, it is evident that this explanation collapses. We have to search elsewhere for the solution. I find it in the idea that it is the function of the rate of interest to preserve equilibrium, not between the demand and the supply of new capital goods, but between the demand and the supply of money, that is to say between the demand for liquidity and the means of satisfying this demand. I am here returning to the doctrine of the older, pre-nineteenth century economists. 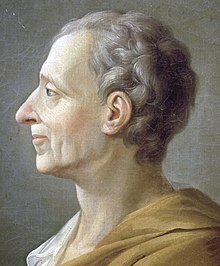 Montesquieu, for example, saw this truth with considerable clarity,— Montesquieu who was the real French equivalent of Adam Smith, the greatest of your economists, head and shoulders above the physiocrats in penetration, clear-headedness and good sense (which are the qualities an economist should have). But I must leave it to the text of this book to show how in detail all this works out. Complete ebooks collection of Montesquieu (in French). ↑ Considérations sur les causes de la grandeur des Romains et de leur décadence/11 - Wikisource (in fr). fr.wikisource.org. ↑ Montesquieu, Causes of the Greatness of the Romans (2017-11-09). ↑ Esprit des lois (1777)/L11/C6 - Wikisource (in fr). fr.wikisource.org. This page was last edited on 15 April 2019, at 10:52.